Revitalisation, revalorisation, modernisation, adaptation – these are words the citizens of Łódź know well. They've observed many of these processes over the last few years in particular as a second life renews the city's historic factories. Łódź – a city of the industrial revolution. The dynamic development of this once small settlement began in in the 19th century, when innovation in steam and electricity revolutionized the world economy and changed the face of cities and the way people live. 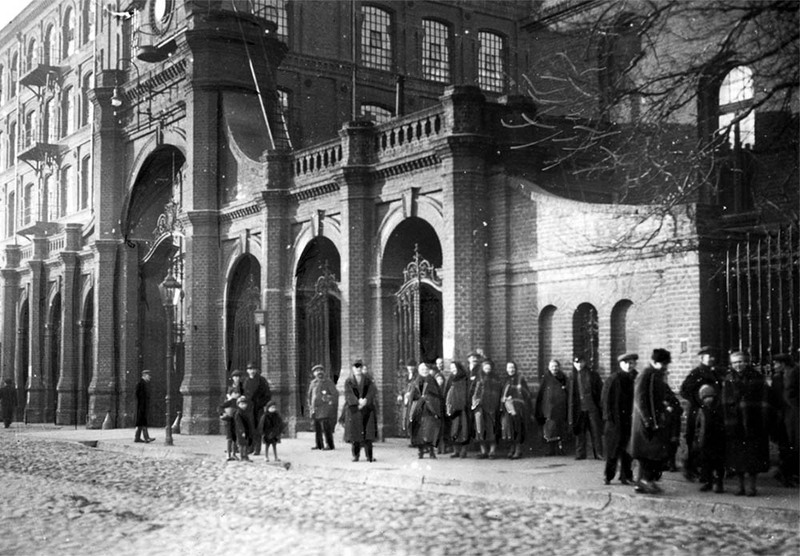 Like Britain’s Manchester or cities along the Rhine in Germany, Łódź grew around large factories that have shaped the character of the city for decades. But big cities that even decades ago seemed like the pinnacle of modernity have today lost their purpose. The problem of how to develop post-industrial spaces has affected many countries around the world – from the USA, France, England and Germany to Poland. Everywhere, cities are looking for ways to preserve and repurpose their factory buildings. They are, in a way, monuments – valuable examples of 19th and 20th century architecture and important relics of a past era. In Germany, France, England and Poland, empty factories, mines and steelworks have begun to undergo a metamorphosis – emerging with new functions, yet preserving their architectural qualities. Łódź is home to a number of interesting examples of this post-industrial revitalisation. 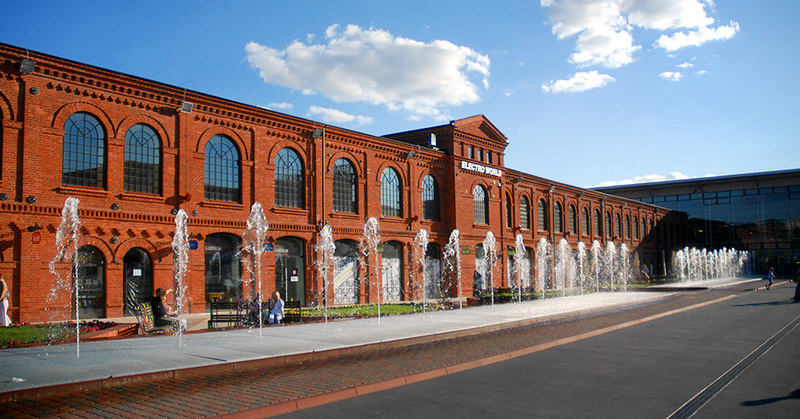 The most famous of these repurposed spaces is the former factory complex of Izrael Poznański, now a multifunctional shopping and entertainment centre called Manufaktura. At the end of the 1990s, the brick former textile factory was purchased by a private investor. By 2006 an expansive shopping centre had opened in the space – but the 260 stores are not the only things Manufaktura has to offer. There are also cinemas, museums (including a famous MS2 Art Museum), a luxury hotel and a huge public square, which features a fountain and many outdoor events. The design of the new features for the post-industrial space was done by architects from Virgile&Stone and Sud Architects. The emergence of Manufaktura, one of Europe’s largest revitalisation projects, has generated a lot a controversy – the complex has become somewhat a victim of its own success. 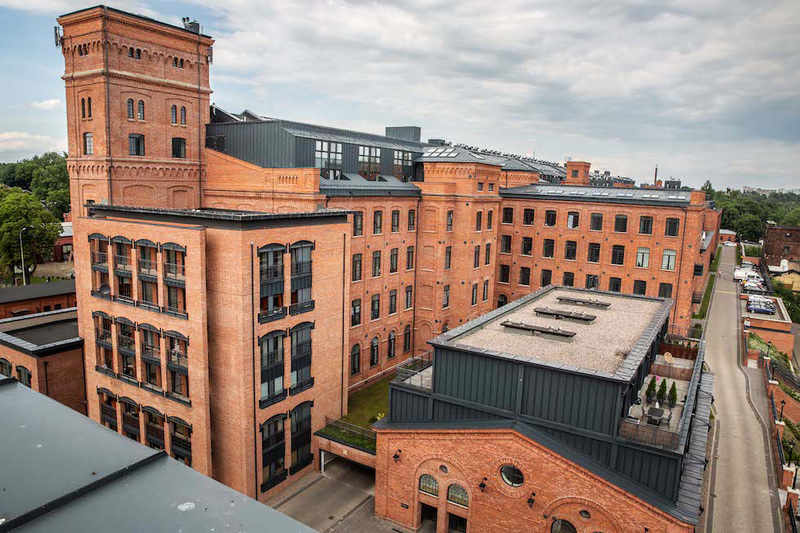 The former Poznański Factory turned out to be a magnet for visitors and soon began to serve as a new city centre. It was blamed for ‘sucking’ traffic from the central Piotrkowska Street and contributing to the collapse of many downtown shops. Though the new, well designed Manufaktura initially lured in crowds, over time, the city has found a balance between the new and old centres. Alongside Izrael Poznański, Karol Scheibler appears on the list of the largest manufacturers in Łódź. In 1825, he established the first spinning mill in the Księży Młyn district. Around that time more and more establishments began to flourish – and today many of them have been turned into fashionable, post-industrial loft living spaces. The monumental buildings were carefully renovated to emphasise the characteristic features of the architecture (towering staircases, signs, ornamental gates, architectural details). In 2013, the same district saw a factory built by Ludwik Grohmann in the 19th and early 20th century converted into the seat of the Łódź Special Economic Zone. Although some Łódź factories have become shops, offices or hotels, the city has also shown that these post-industrial spaces are best served by culture. Fabryka Sztuki [Art Factory] is a complex of three building in Księży Młyn devoted to representatives of ‘creative industries’. The cultural and entrepreneurial centre Art_Incubator opened in 2014 and features art studios, conference rooms, art production rooms, an auditorium and galleries, a café and a club. Similarly, the former factory of Franciszek Ramisch, better known today as OFF Piotrkowska, houses studios, designer boutiques, galleries, offices, fashionable clubs, and restaurants. Many different areas of art and science are planned for the former power station next to the Fabryczna Station, right in the city centre. 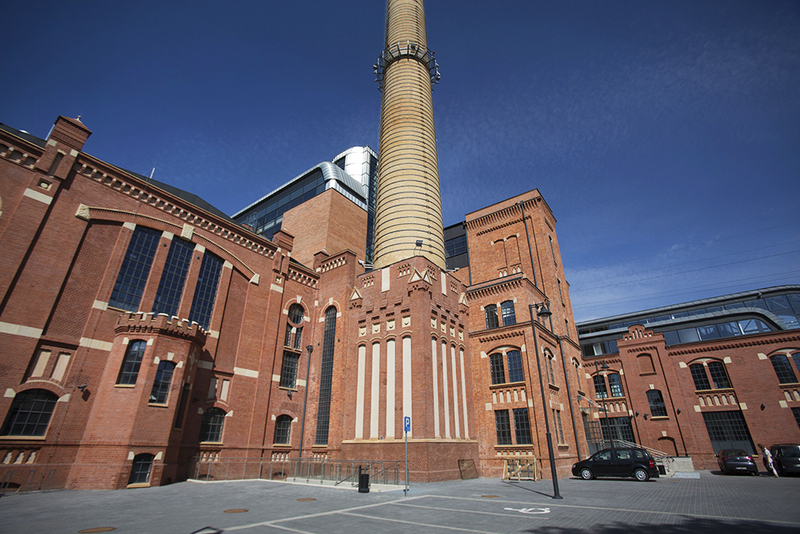 EC1 – a historic power plant – has been the focus on major investments in recent years. The post-industrial buildings have been modernized and expanded to accommodate a 3D movie theatre, a science centre, planetarium, studio, workshops and laboratories, a gallery, sound theatre and seminar and conference rooms. The design for the complex’s metamorphosis was prepared in 2007-2013 by Rafał Mysiak’s Home of Houses studios, Fronton Investment Office and Mirosław Wiśniewski Architecture and Urban Planning. While replacing industrial spaces with museums, residential homes, offices, shopping centres, and cultural facilities became particularly fashionable at the turn of the 20th and 21st centuries, Łódź can boast of a project far ahead of its time. 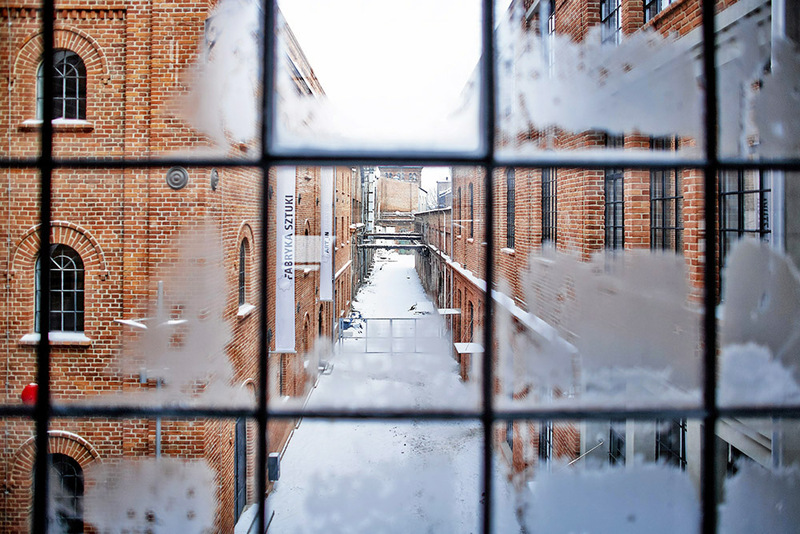 As early as 1955, the decision was made to repurpose the Ludwik Geyer Biała Fabryka (editor’s translation: White Factory) into a space for the Museum of Textile History. Built in the years 1835-1837 in the classicist style, the complex once housed the first mechanical spinning and weaving factory in Łódź. 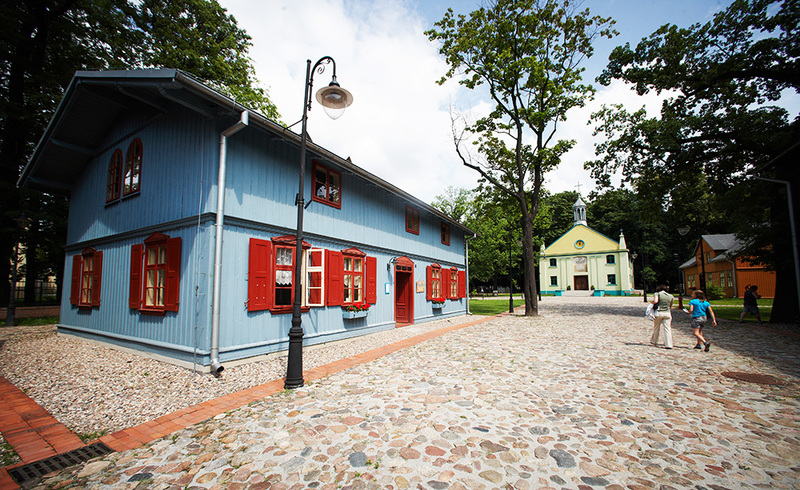 Now, for over half a century it has accommodated the Museum of Textile History and since 2009, also the Open-air Museum of Łódź Wooden Architecture. Łódź and its factories have undergone enormous changes – no other Polish city can boast so many different examples of how to preserve post-industrial heritage. And even if not all of these projects have been wholly successful (not all the lofts in Scheibler’s factory are full and the EC1’s science centre is still in the organisation phase), they are worthy of praise for their commitment to preserving and promoting the city’s industrial past. Poland’s Promised Land: What Makes Łódź So Special?